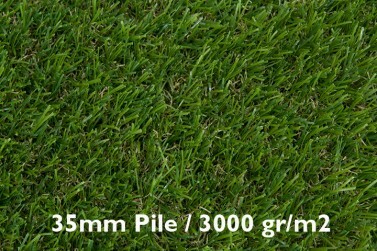 Saint Maxime 35mm – A deep and dense pile artificial grass, Ideal for that healthy / lush lawn. 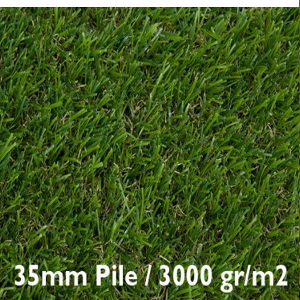 Saint Maxime is available in 4m & 2m widths, roll lengths up to 25m are available to order. 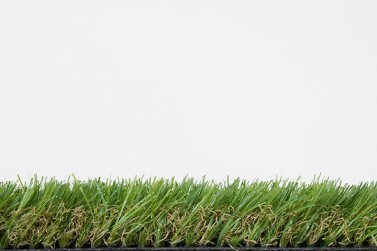 A Blend of four beautifully coloured fibers including realistic dead grass look. Soft, feeling underfoot without feeling hard or course.